Mirrors can be deceptive. Usually, that's not exactly a good thing, but when it comes to interior design, it definitely is. Indeed, they have the power to make your space feel and look bigger than it really is, so much so, that it's become a known magic trick for decorators everywhere. But it's not all smoke and mirrors. Beyond their ability to maximize a room, mirrors also tend to double as décor, dress up a lackluster wall or corner, and function as a second opinion, should you need one as you get dressed each day. 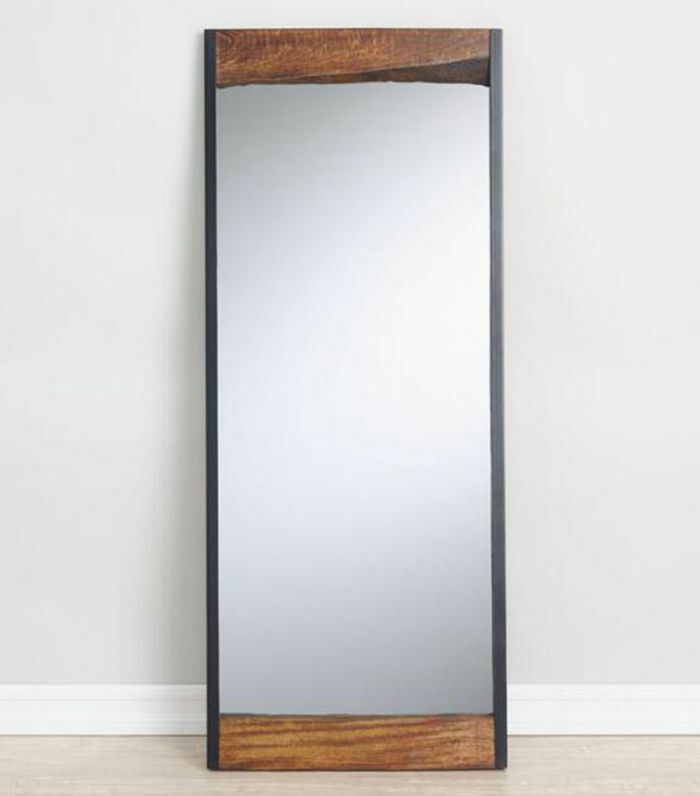 And the taller the better, so given their abracadabra capacities, we rounded up the best floor-length mirrors at every budget. 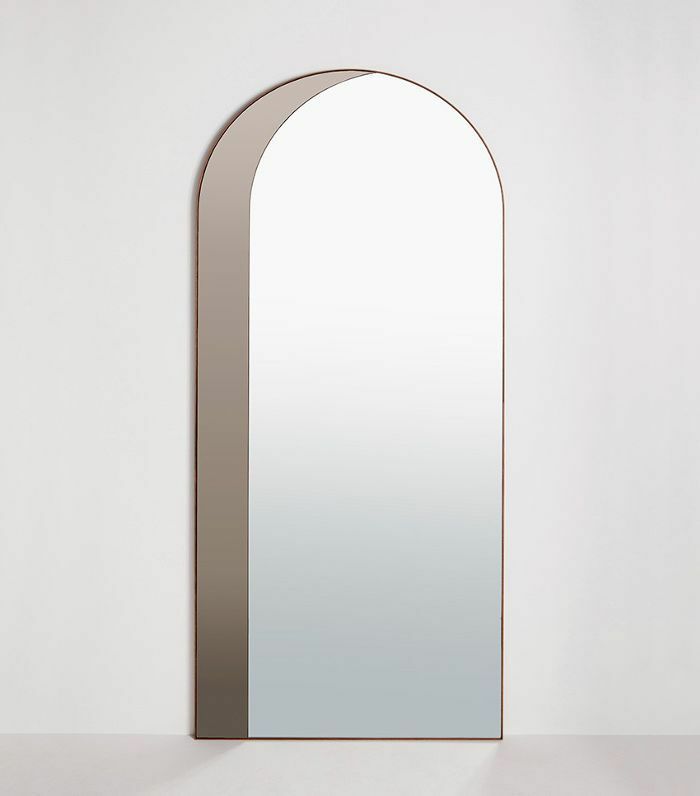 Broken down into sections based on style preference, scroll through our 24 favorite floor-length mirrors (starting at just $40), from modern and sleek picks to minimal and organic options, Avante-Garde statement-makers, and pops of color. Whether you're in the market for something that goes on the wall, leans against it, or stands on its own, you'll find your match below. 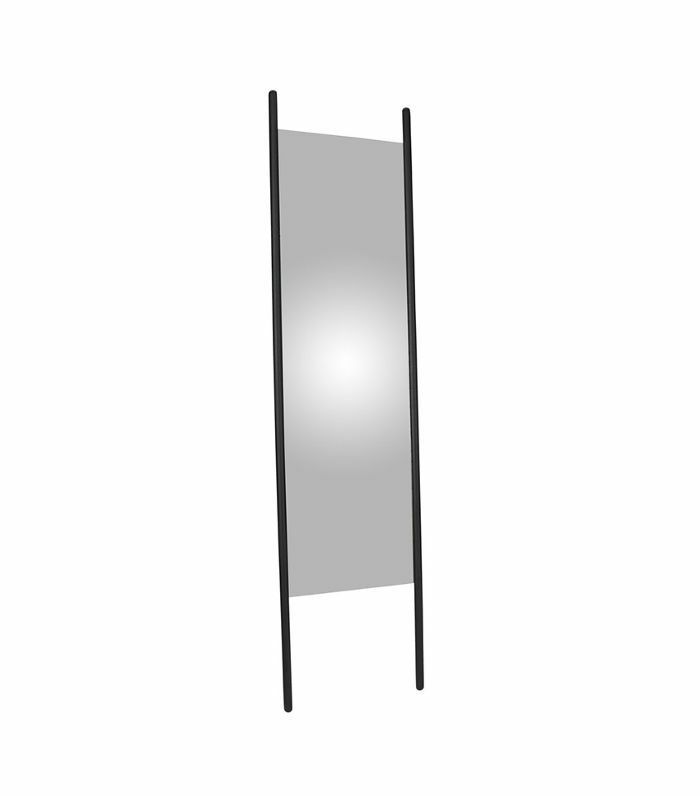 We love how the poles extend beyond the length of the mirror for an elegant and simple look with an understated edge. 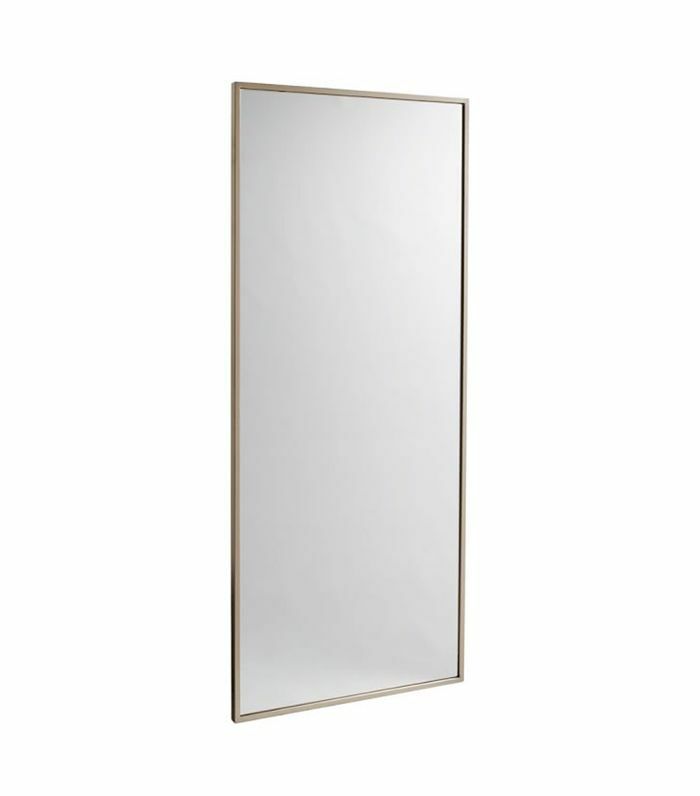 Consider this floor-length mirror for an on-trend yet subtle and transitional addition to your interiors. The acrylic border is edgy without being "too much." Simply hang it over the door and call it a day. It also happens to be a very affordable price point, so you really have nothing to lose. 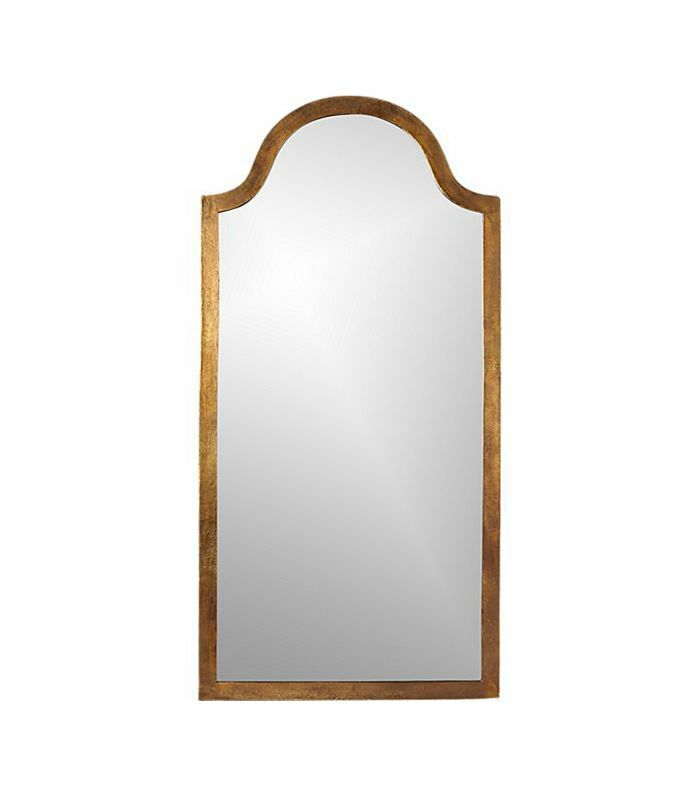 If you love the drama of traditional guilt mirrors but want something a little more streamlined, this one is perfect. This is the floor length mirror for anyone looking for a staple they'll carry with them forever, regardless of the trends that come and go and personal style transformations they experience. 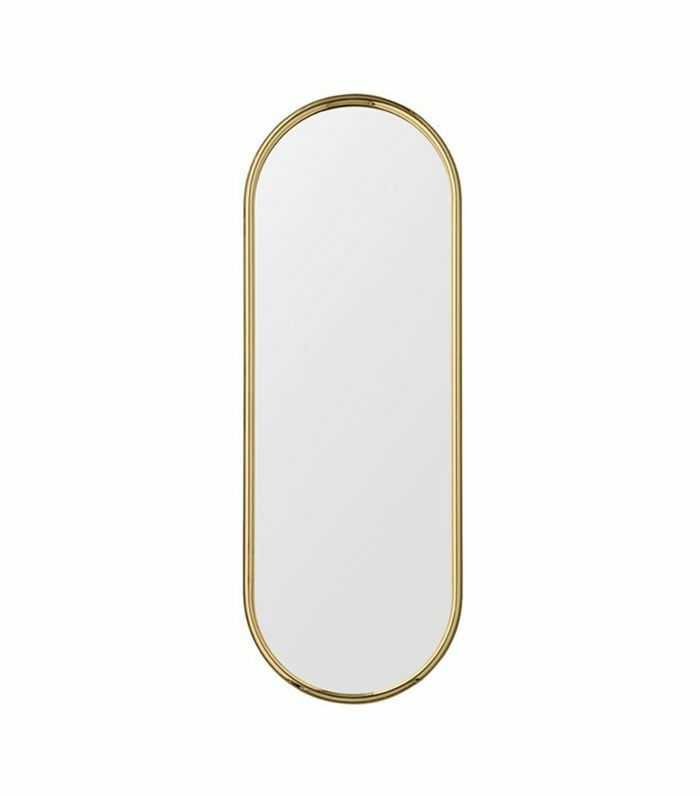 The oval shape of this mirror will add some intrigue while the simple, clean gold border ensures that it's understated enough to complement a variety of environments. 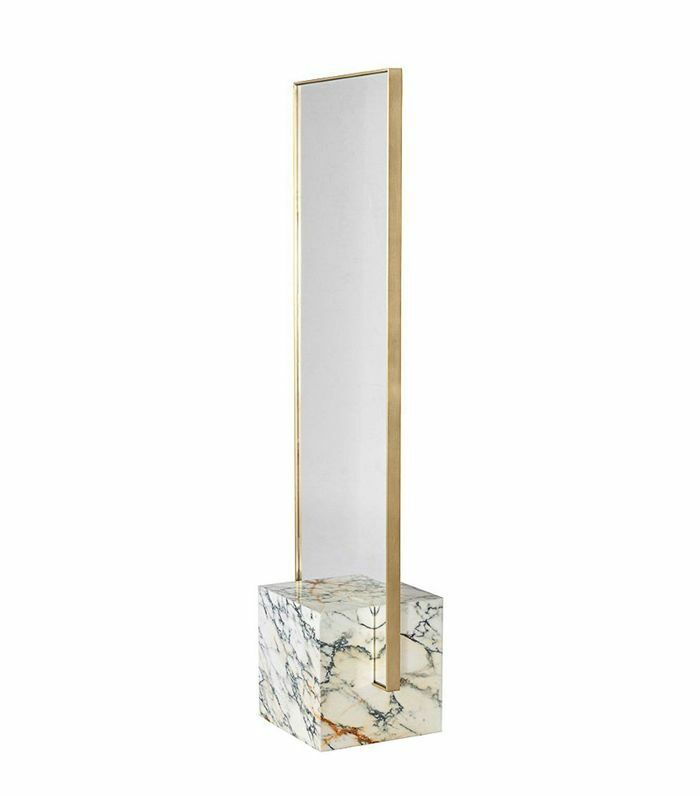 This marble base mirror is architecturally striking without being too overpowering. If you love luxe, modern interiors and want to invest in a piece that doubles as a piece of art, look no further. A curved silhouette is an unexpected twist to the classic metal-framed floor-length mirror. We see this fitting into a beach house perfectly, though it would also look great in an eclectic space with lots of material-mixing going on. 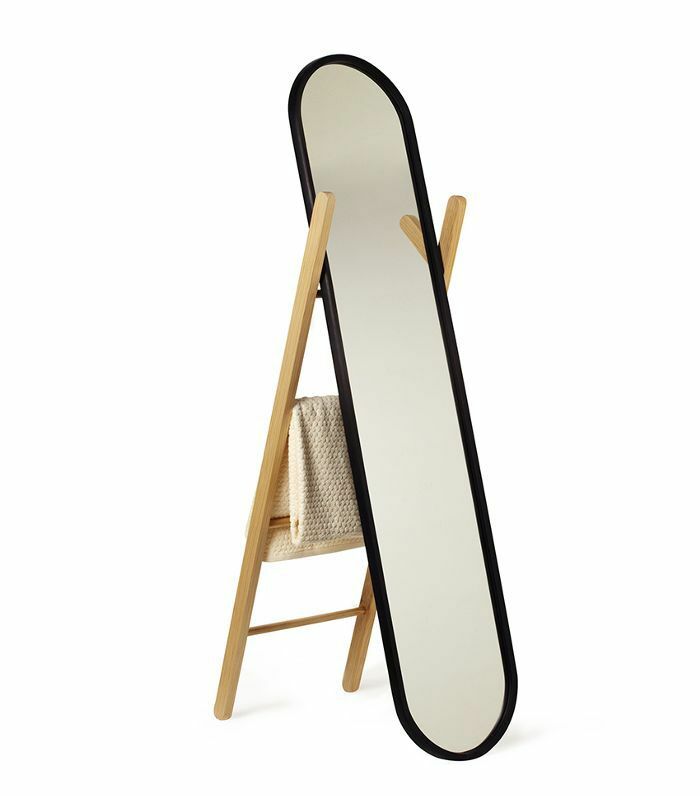 With added storage and a stylish black oval frame, this floor-length mirror pretty much does it all. It's the perfect solution to a space issue in both the bedroom and the bathroom. 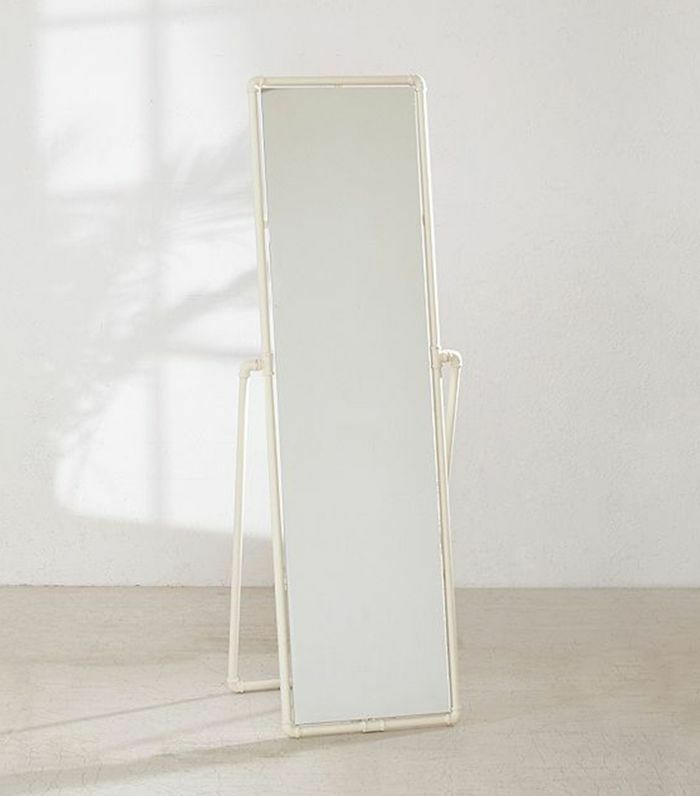 Though this white standing mirror would be easy to style in a variety of ways, it'd be the perfect addition to a loft or an industrial-inspired home. 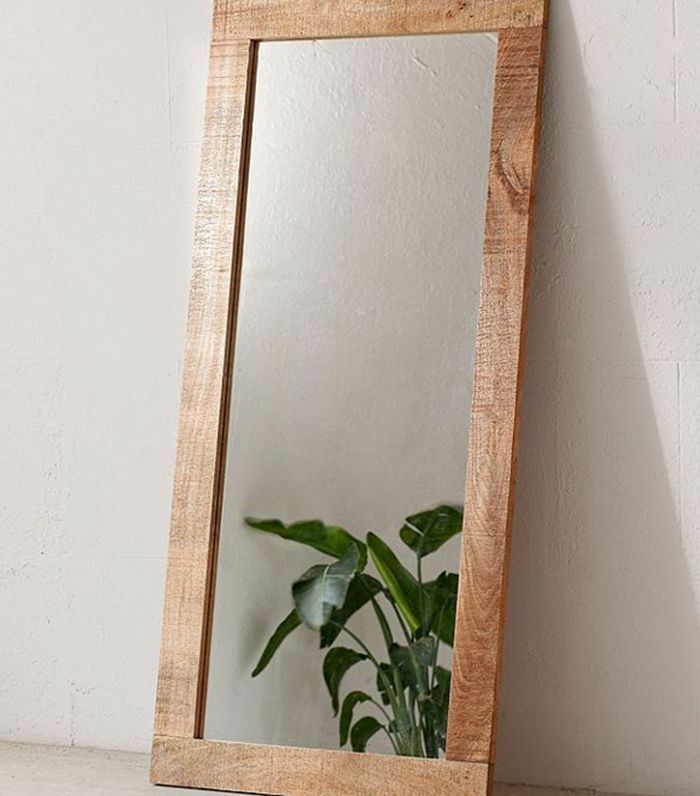 Classic, easy-going, and neutral, lean this handsome floor length wooden mirror against a wall in the entryway or bedroom. 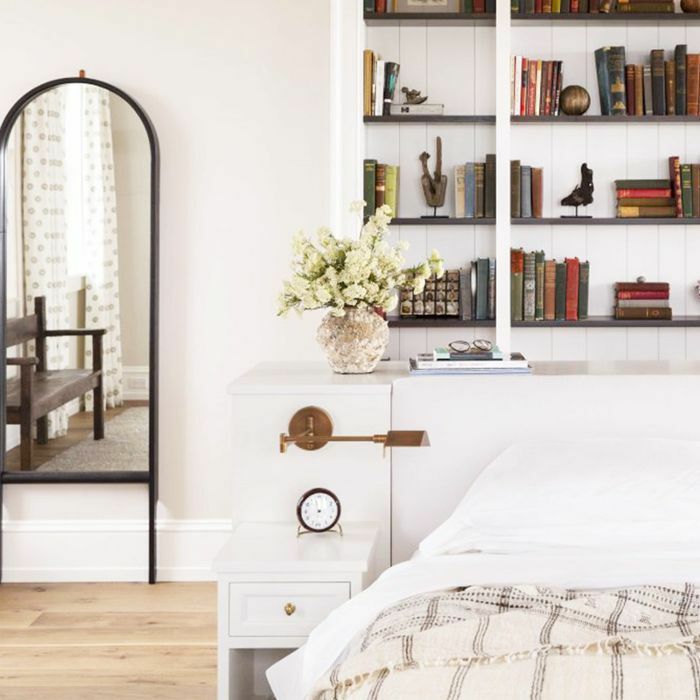 If a little bit of industry with a little bit of minimalism is your idea of the best of both worlds, say hello to your floor-length-mirror match. 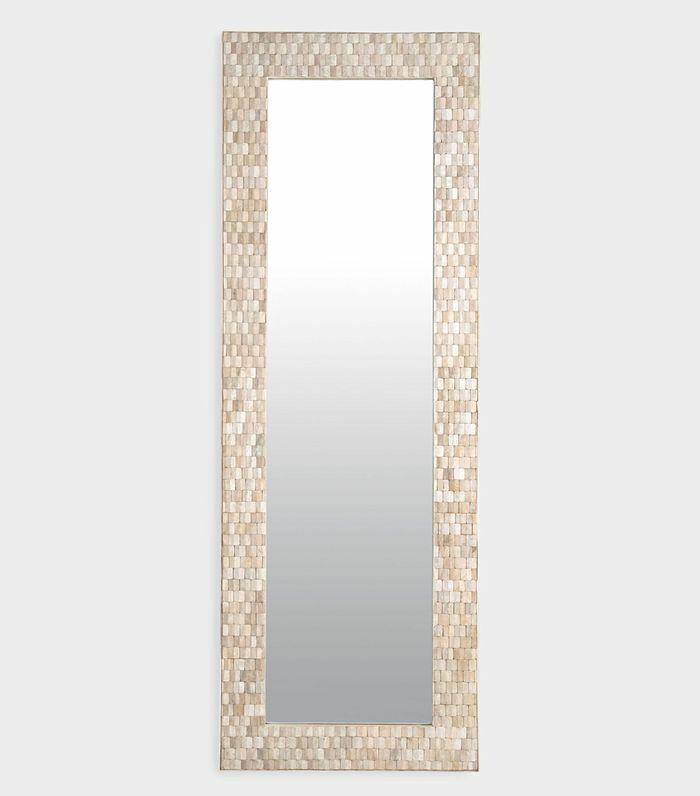 The light wood grains and mosaic effect give this mirror a nice balance of dainty and edgy features. Blonde wood is a nice way to brighten up our interiors. 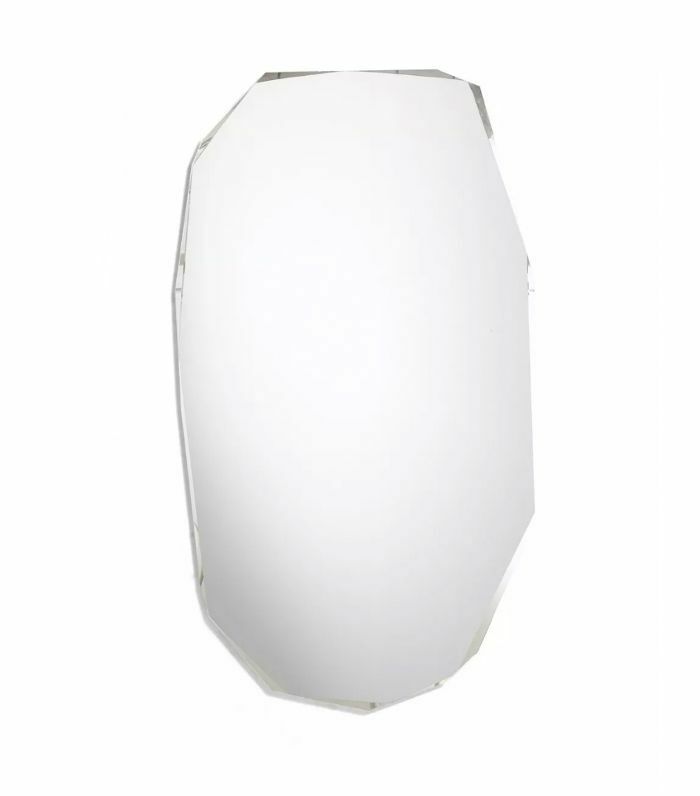 If you love the idea of an oval wall mirror but prefer casual wood frames to metal, hang this one on your wall. 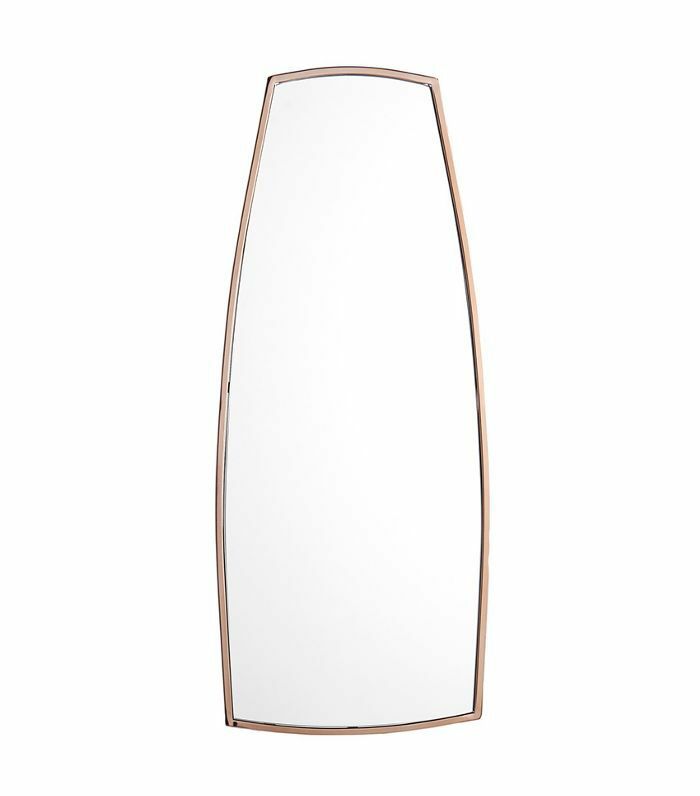 Nondescript and simple, this mirror can be hung horizontally in the entryway above a console table or used as a floor-length mirror. And now for the fun stuff… Though you may not want to consult this mirror while experimenting with a new color combination in your outfit, it will definitely give beautify your interiors. This leaning mirror delivers coastal vibes wherever it goes, so if you're someone who'd always rather be at the beach, channel it with this little number. 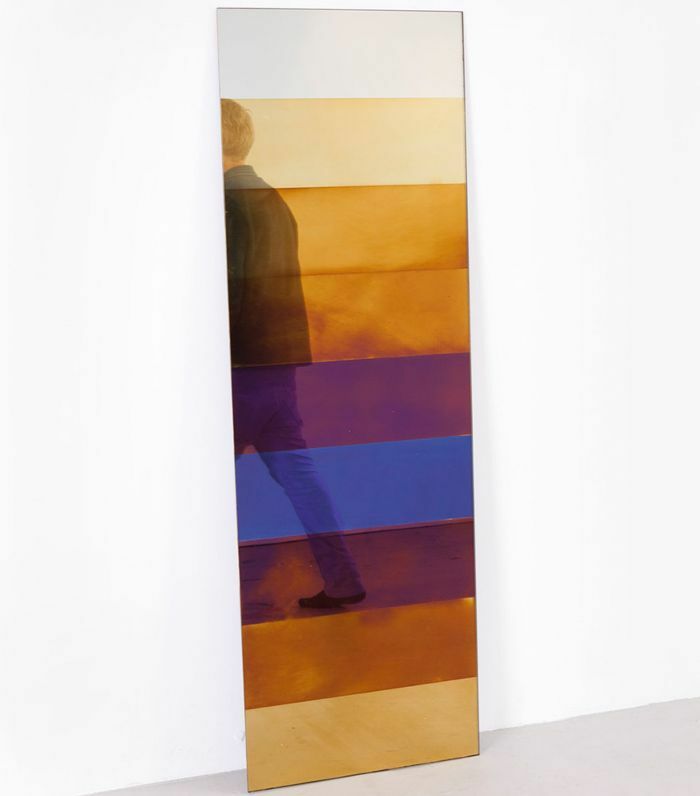 Bower is known for designing mirrors that double as optical illusions. This one looks like an arched doorway, so it'll be a talking point, a piece of art, and a floor-length mirror all at once. 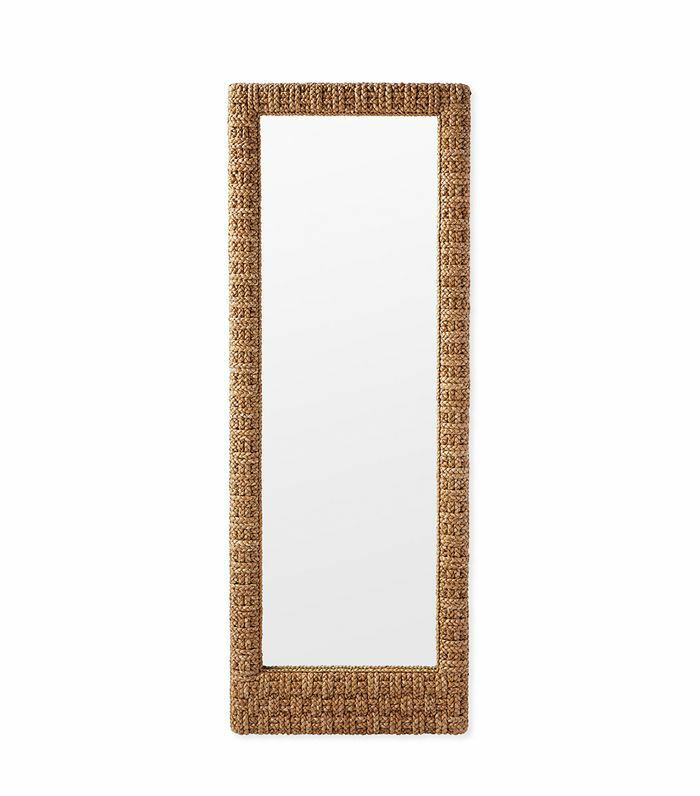 For anyone who loves vintage and all things wicker, consider this standing mirror for your bathroom or bedroom. We love the deep aquamarine hue, but you could also make a project out of it and paint it a different shade. 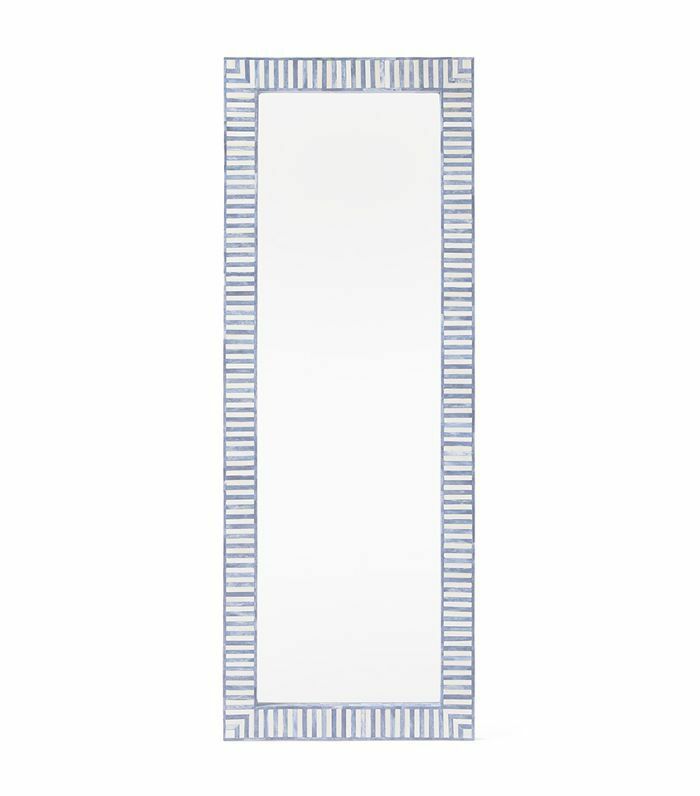 The grid design of this mirror is a nice geometric touch, but it won't necessarily interfere with your reflection gazing, making it ideal for someone who wants to make a style statement while also getting some functional use out of their purchase. 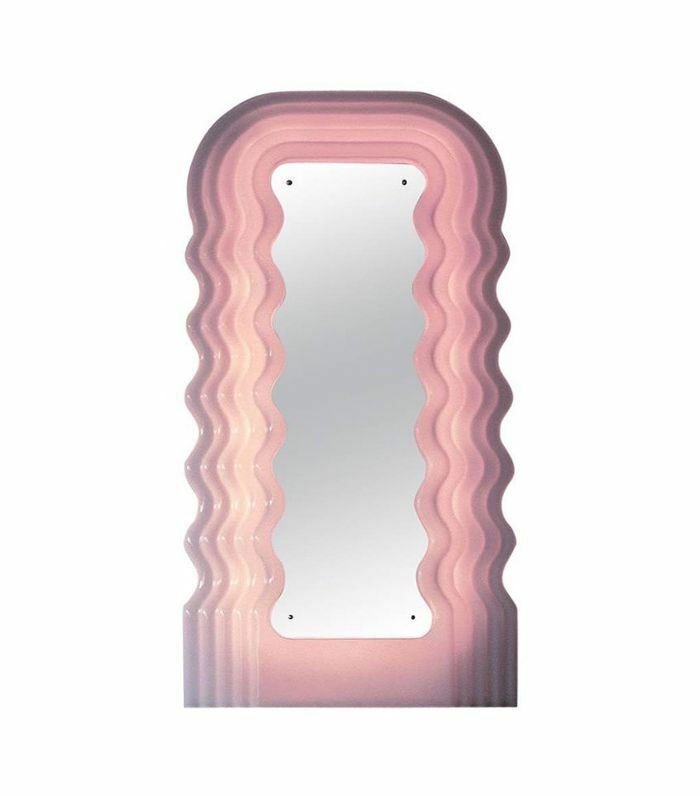 This epic bubblegum Art Deco mirror is as cool as it gets. The wavy silhouette is whimsical and so iconic. 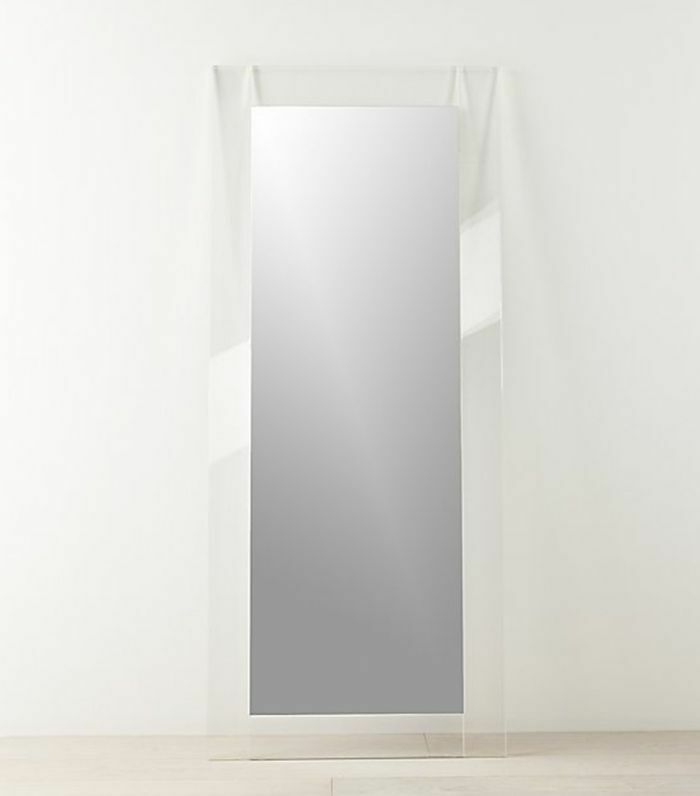 Get edgy with a frameless cut glass mirror for a modern, soft-spoken style statement. 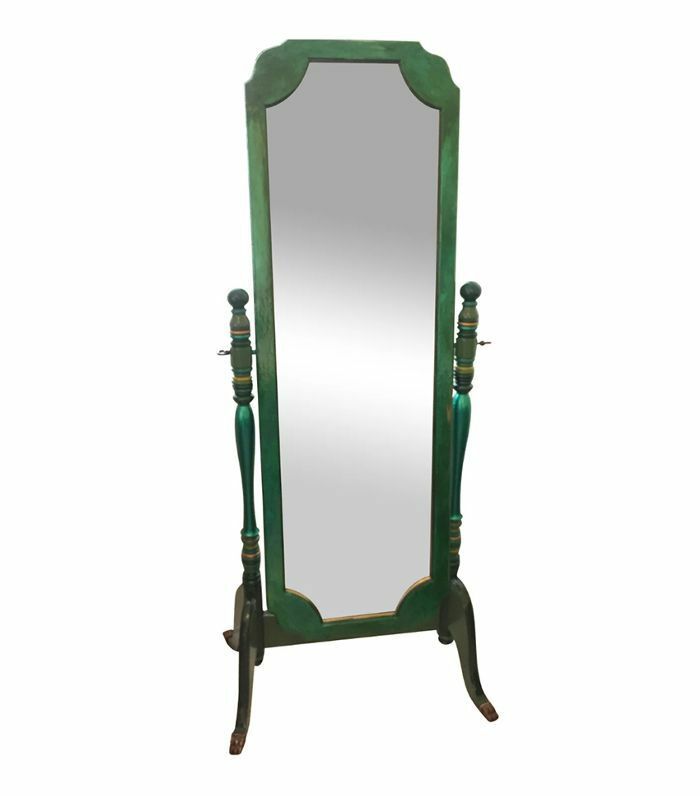 Antique collectors and flea market lovers, this vintage emerald green free standing mirror is for you. Subscribe to our newsletter for more shopping guides and interior design tips.